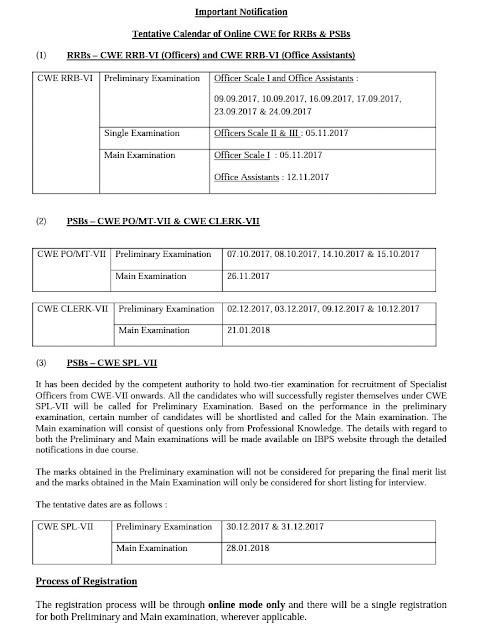 Institute of Banking Personal Selection (IBPS) Published CWE-VII (PO & Clerk) & RRB PO & Clerk, Specialist Officer Exam Calendar of the Year 2017-18. Now Candidates Can Start their Preparation for this Exam. All Exam Notification will Out within the Time Period Mention. Now Candidates are No Need to Worry Now They Can prepare for this Exam. Check Here Detailed Official Notification. Selection on which basis district level or state level selection. l am Banita behera .iam untrained,SC,otetpass .so can I apply for this post? I am Novodaya student +3cbz but I don't have subject oriya in +2level but 10th it is there. Am I eligible as or not?